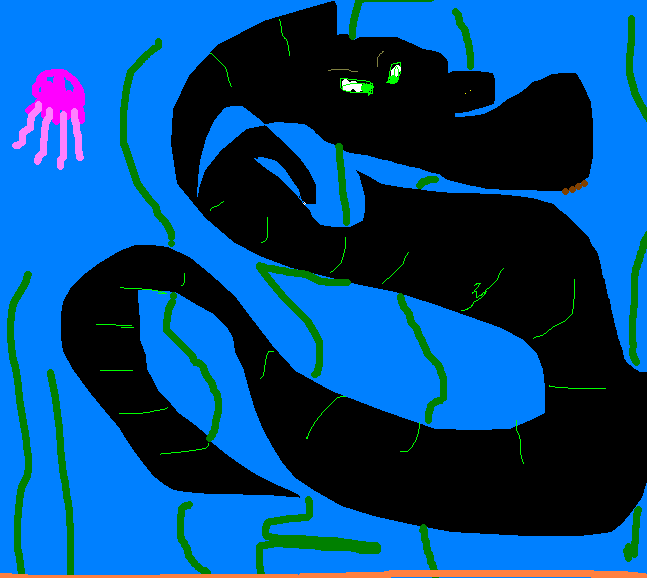 I think it's an eel-like sea dragon. NIGHTMARE MORE: Use only the exact same colors from the pic. No animation or transparency. Only the size wont be able to be the same because of challenge rules limit. Trying to make something out of the original colours used. Work in progress, trying to go for a glow in the dark fish kind of thing. Struggling with the background, maybe I'll leave it one color. going to work on shadows/highlights.